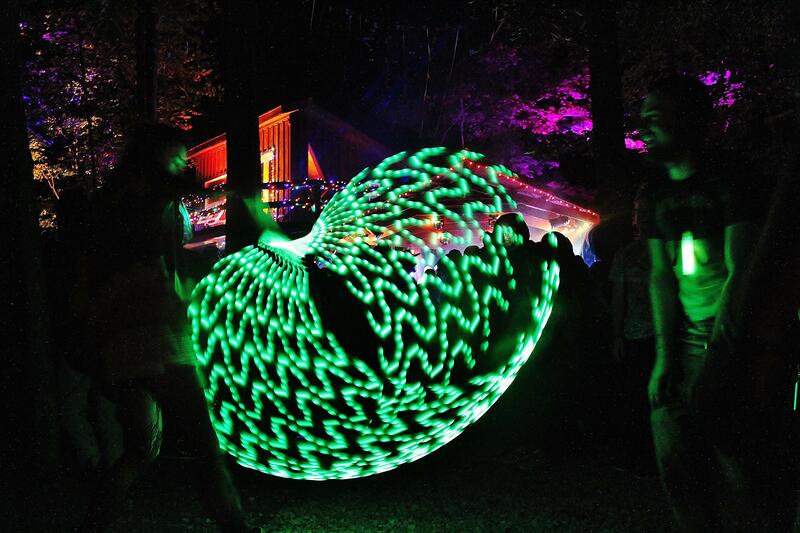 The 2016 Night Lights Music Festival is burning bright right now at the beautiful Great Blue Heron festival grounds in nearby Sherman, NY. We've recently taken a few minutes out of the busy schedules of some of the very-awesome festival's organizers and performers for a little Q-and-A action, and, just for the hell of it on Night Lights' final day, we're continuing to share what they had to say. First, I caught up with Scott Molloy, who, as a founder, organizer, and musician in Lazlo Hollyfeld, has been with Night Lights from the start. Then, I heard from Ethan Pieper and Sam Edwards, members of Edinboro-based jam/fusion soundscapers GNOSiS. After that, we had well-loved Erie music-maker Tyler Smilo, who tore it up with Daybreak Radio onstage Friday (and elsewhere throughout the weekend). Next -- and last --up, we have Aqueous, the Buffalo-based prog-jam master-blasters who are sharing their sonic alchemy not once, not twice, but three times -- hot damn! -- at this year's festival. Ryan Smith: Thanks again for taking the time. Start off by telling me a little about that Night Lights Truth-or-Dare match (live on Night Lights' official Facebook page) the other night. Evan McPhaden (bass): It was a pretty fun! It was definitely a cool and unique way to promote Night Lights, Aqueous and Community Beer Works. Some good stories were told, laughs were had, and [there was] more singing than I expected! Some of my favorites were [things like] 'sing the alphabet in a soulful way,' 'moonwalk,' and 'sing Mary had a Little Lamb.' Everyone was easy-going, and it turned out to be a great time. Anytime anyone wants to drink and play games, I'm down! RS: Now, you guys are mainstay Night Lights groove-bearers. I'm asking all the musicians I'm talking with this week to sorta describe its overall vibe. So? Mike Gantzer (guitar, vocals): Night Lights carries a really specific vibe that makes it a super unique event that we look forward to each year- from the diverse/eclectic lineups that range from a ton of great local bands to some heavy hitters from the national circuit, to the trippy layout of the forest and how they light it up, I'd have to say the main thing is the communal vibe- it's rootsy and comfortable and awesome! RS: Three hefty sets. Tell us a little bit about where you guys are headed (and taking everybody else) this weekend. Rob Houk (drums): Expect the unexpected. We have two original sets (Thursday and Saturday) and one set that is a 90's tribute (Friday) we have been reworking some of the older tunes and slowly integrating them back into the fold. We can't reveal too much, but the 90s tribute is going to take some people by surprise. 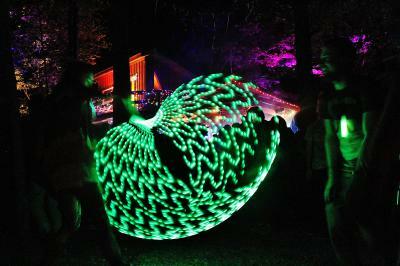 This year's Night Lights Music Festival runs through Saturday, Aug. 27 at the beautiful Great Blue Heron festival grounds, 2361 Wait Corners Road, Panama, NY. For tickets, directions, lineups, schedules, and more info, visit nightlightsfest.com.